A 3-year-old boy was injured in an accident on Aug 11. while riding an old wooden roller coaster in Pennsylvania. The boy from Jeannette was hospitalized on Thursday afternoon and is undergoing surgery Trib Live reported. He is said to be in critical condition. 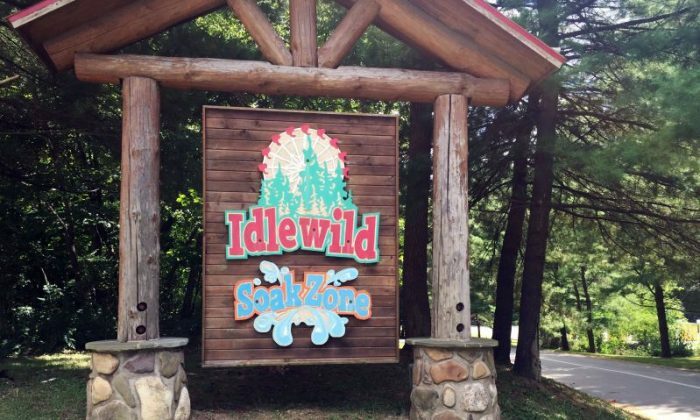 A spokesman for Idlewild and SoakZone amusement park near Ligonier says the boy was injured while riding the attraction with his brother, The Associated Press reported. The child, according to Trib Live, was riding on the Rollo Coaster, the park’s first coaster built in 1938. Unnamed sources told Trib Live that the boy fell from the car as it was turning, dropping about 10 feet before striking his head. “It was during the middle part of the roller coaster ride track,” Idlewild spokesman Jeff Croushore told the Pittsburgh Post-Gazette. Croushore said the boy was conscious when he was airlifted to a hospital. His name hasn’t been released. Croushore added: “(The investigation) is ongoing. I can’t confirm everything. I don’t have the exact location on the ride (where he fell), but middle part of the ride, track,” according to the paper. A woman said that she took her 3- and 5-year-old sons on the ride that day, reported WPXI-TV. The Rollo Coaster takes riders up, down and around a wooded hillside. It doesn’t require seat belts. It passed an inspection Saturday but will stay closed until an investigation ends, AP reported. The park, in a statement, said the Rollo Coaster “is closed while we conduct a full investigation of the incident,” but added that the park will remain open. This comes less than a week after a boy was decapitated while riding a waterslide at a Kansas water park.